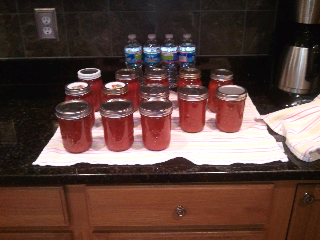 I managed to finish processing 14 pints of Annie's Salsa before Sandy blew through and messed up the power. Hey, didn't we move up here to get away from crap like this???! !